Tim Pat Coogan's new book, "The Famine Plot" is very good. I have a new blog post up about John Mitchel, I have included links to free ebooks of some of his books, which are excellent. I've just bought that, and will post on it on the Famine thread (I think we have one). 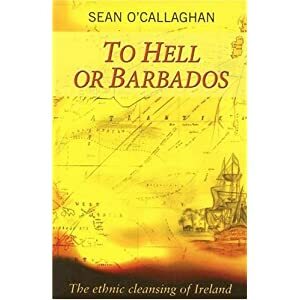 Maybe a slightly narrow aspect of what you are looking for Saoirse but a fascinating and frightening read nonetheless. And don't panic, it's not that Sean O'Callaghan. Looks good, putting it on the list. I'm also looking to pick up a copy of the Lost Revolution, got it out of the library a while back and enjoyed it, would like to own a copy. Where can I get it cheapest? It's €12.54 on Kenny's (who are really excellent, bought lots off them recently, very prompt delivery) will that be bettered? Don't forget to type in the code to get your PW 5% discount. Yesterday the Duke of Edinburgh (91) was seen on a train reading Christopher Kelly's The end of empire, Attila the Hun and the fall of Rome. The above Irish republican history blog has some gems, but as to be expected its not the most balanced resource. Good for him. I'm a great fan of classical Rome and Greece, both their histories and philosophies. On another topic/era, I recently finished a fine biography: John Stuart Mill - Victorian Firebrand by Richard Reeves. A fine summary of the man's life and ideas and, better yet, a good read. Hello everyone - new user here so I hope I have the system down. Gaeliic and Gaelicized Ireland in the Middle Ages : K W Nicholls. Lilliput Press Dublin. 2003. Tudor Ireland: Crown ,Community and the Conflict of Cultures 1470-1603. Steven Ellis. Longman Press 1985. Tudor and Stuart Ireland. Margaret MacCurtain. Gil and MacMillan 1972. The Revolt of Silken Thomas: A Challenge to Henry VIII. Laurence McCorristine. Wolfhound Press 1987. The Silken Thomas is of special interest because it was the start of questioning the long held view of Lord Thomas as being a hothead who jumped the gun without any real direction in sight. In fact, looking closer at the historic record it now is estimated by many historians that a propaganda war was waged against him by English chroniclers in order to restore the FitzGerald lands at a later date. The FitzGerald rebellion in fact posed a very serious threat to Henry VIII and was a much more organised event than has been traditionally portrayed even by Irish historians. It's a cliché that the winner gets to write history, but true generally nonetheless. Interesting that there's not much on wiki about it. I only have a passing knowledge of the events and it would certainly be something worth properly studying. Thanks - yeah, it probably could do with a thread of its own [?] but it was a complicated business for the FitzGeralds. When [the Catholic] Queen Mary came to the throne in 1553 she attempted to restore some Catholic lands and the FitzGeralds - in the person of the exiled Gerald FitsGerald - looked for a restoration of theirs. It was awkward because of the rebellion against the Crown during her father Henry VIII's reign but she wanted them on her side and in Ireland. So she had a chronicle written so as to depict the rebellion as a foolish, rash act by the 27 year old Lord Thomas and not a serious effort by the Geraldines at large. This remained the accepted narrative for centuries. Glad to have you on board Spailpin.